I want to own a baby tiger. yoshiposhi and Bob The Dog like this. I'm pretty sure Texas has pretty lax animal/pet laws, but I don't really know if because you can, you should sort of thing? When I had my iguana, because he was considered an exotic pet, my vet was the large cat vet at the Buffalo Zoo. He was always covered in scratches. I had asked him once about working with lions and tigers, and his response was to never take your eyes off what they are doing. That doesn't seem fun to me. There was something on NPR a while back about a tiger that lived in a gas station somewhere in the US as kind of a roadside attraction, and the whole story just seemed sad to me. Even if you can have a nice habitat with lots of room, I think the animal would probably still suffer. I've known people who thought it would be cool to get foxes or bengal cats as pets, and that always ended up not going well. And that's on a much smaller scale. A tiger can eat you.
" never take your eyes off what they are doing." same goes for cougars. Yeah, Seigfried and Roy thought it was awesome to have tigers as pets, they had an awesome tiger show in Las Vegas for 13 years, then on Oct. 3 2003 the white tiger Montecore attacked Roy and dang near killed him, it's a miracle that he lived. Roy and Seigfried had raised Montecore from a cub. They never did officially find a reason for the attack. Yeah, Siegfried & Roy thought it was awesome to have tigers as pets, they had an awesome tiger show in Las Vegas for 13 years, then on Oct. 3, 2003, their white tiger, Mantecore, attacked Roy, & dang near killed him... it's a miracle that he lived. Roy and Siegfried raised Mantecore from a cub. They never did officially find a reason for the attack. You may get away with it, but do you have the space to properly take care of a tiger? Do you have the money - to get the proper permits, construct an appropriate enclosure, pay for vet care, & feed the tiger? Do you have the space for for a proper habitat, to put an enclosure around? Siegfried & Roy [kept] big cats for over 30 years before Roy was attacked, and they had everything I asked about. Roy lost so much blood [in a very-short time - he was quickly sped to a nearby hospital] that he had a stroke. In a matter of a few minutes, a healthy, active man became an invalid, with multiple disabilities. His life was utterly changed by seconds of unexpected aggression from a big predator - one that he thot he knew well. No matter how carefully trained, how knowledgeably they are reared, wild animals remain wild - even after taming. Lifelong habituation does not alter the fact of their wildness; habituation is the thinnest of veneers over their bone-deep wild heritage. That isn't to say that wild animals are incapable of attachment, or that they don't form strong bonds with individual humans that they know, who have been kind to them - there are many well-documented, highly-emotional reunions of adult wild animals IN THE WILD, greeting the caregivers of their childhood with obvious joy. Jane Goodall & a chimp she saved from a slow death in illegal captivity; a female leopard who brought her cubs back "home" when their natal den was flooded, & left with them when the water went down; elephants who were orphaned & reared by a single carer greet that person gladly, & they remember them well. But habituated animals who live their lives out in captivity, & who are dangerous, can BECOME dangerous at any time - even to those they love. Fear, anger, the handler takes a misstep & trips - any small error, any emotional turmoil, can change everything in an instant of time. Roy & Siegried's home was designed for their big cats, not for the humans - there are built-in safety devices, yes, but it's designed for THEIR comfort, not human standards. There are shallow loafing pools to cool off & take the weight of a big meal off the body, there are wide concrete 'banisters' on all the stairs that serve as ramps for the cats' access; every section can be shut off from all others, to separate one or more cats [such as a new mother with her litter], or let them all interact. It's not a 'house' - it's a walled compound, with multiple fences topped by angle-iron that segment it like an orange. Shade trees & lawns are for the cats' comfort; there's no AC in most of the house, only the bedrooms & the kitchen [IIRC] are cooled - the rest is screened windows, & open arches. Check out the many photos of their home & compound on-line. He's wearing orthopedic shoes; he needs a cane to walk; he's gained a lot of weight; his left hand is barely usable at all. He has visible muscle atrophy; his face & his speech are affected. Compare that photo to the ones below - Siegfried is blonde, Roy is dark-haired with blonde tipping. // The final photo is of both men, with Mantecore between them, aged about 6-mos; the tiger died in 2014, at 17-YO. I've reared & released hundreds of wildlings, small mammals & birds of various species; i took them in from infancy or childhood, & cared for them until they were ready to live free, on their own. None has ever come back to visit, nor did they become habituated pests, rummaging in trashcans, or begging at ppl's feet. I don't habituate them - if they survive, i want them to go into the wild unencumbered, safely afraid of humans - untrusting, wary, & alert. Habituated animals get into trouble - a tame wildling who tries to approach someone only scares them, & bad things happen; usually the animal is killed, no matter how nonaggressive their approach is. Last edited by leashedForLife; 02-04-2018 at 06:30 PM. I've always been amazed at how well S&R take care of those big cats, they truly do the best they possibly can for them, and to the best of my knowledge have never mistreated or abused any of them. They have all my respect for not having Montecore put down after the attack, I know most people would have had him destroyed. Instead they claimed it was what it was a tragic accident, and still loved and cared for him until his death. The thing is if a pet big cat has a bad day and lashes out at a human the person is seriously hurt or killed, if a house cat or dog does the same thing the human may be hurt but will most likely not be killed. Can I own a tiger cub? I know it'll be huge in the cost of buying and growing him up. I want to know is it possible to pet a tiger? I have watched Life of Pie, where his father told him that Tigers are not friendly. lol. that's what scares me. But I love tigers. P.S - I don't know if it's legal in the US or not. So, forgive me if I wrote something violent. I have learned that nothing in life is impossible. You should dream big and follow your dreams. 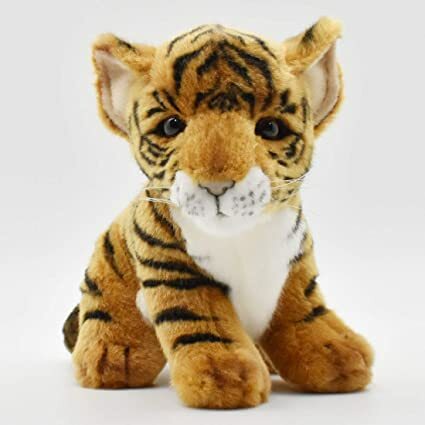 If you love tigers, there is always a chance in your future to own a tiger cup! First of all, you should get yourself a proper education on a subject. Not that purchasing a regular cat won't require education, but cup lion or tiger - in your case - it's a more complicated story. Then you can read all the stories about people, who used to have a baby tiger and learn from them. Is it expensive? Not always. There are options, always options to choose in life. I strongly believe, since you dream that big, you did an equal big enough of research about your dream-to-be pet. Tigers are cool and believe me I do love tigers, as much as elephants, I do also admire crocodiles and other animals and would (never!) want them to be my pets! Hey, how about a baby raccoon for a change? That will be something! So there is an option for you. There is a chance after all that you don't have to give up your dreams and your cup tiger is waiting for you not far away, just around the corner and it's 100% legal! S/he won't need for you to break a bank. That pet would be affordable. It won't be scary for you and your family to have a cup tiger in your household. You can even give him/her a bath once in a year or so, to keep your pet clean! And the best part: it will be a cup forever! You can pass your passion for tigers to your own kid/s! How cool is that? Seriously? I couldn't help myself!